A typographic collaboration between 3 designers. 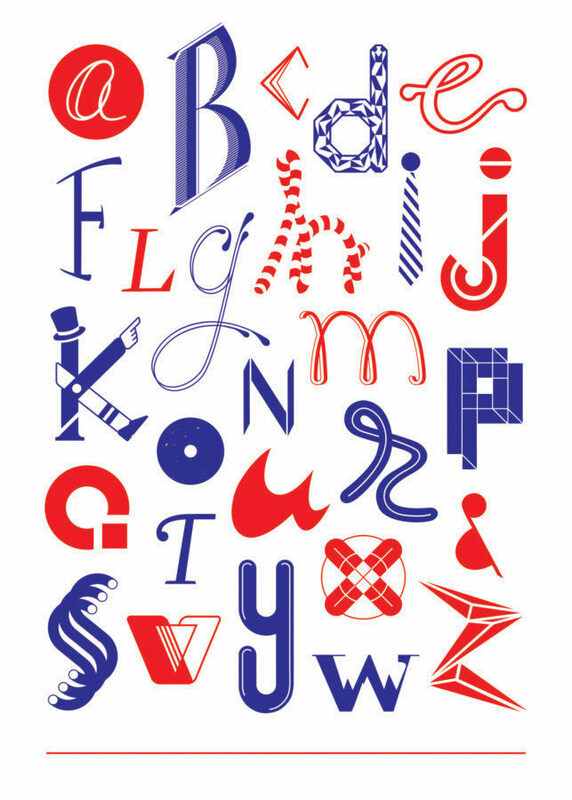 As a playful exploration of letterforms, the alphabet was divided up between each contributor to create reimagined variants,resulting in a collection of letters from an assorted mix of styles and approaches. Eimear Gavin studied Visual Communication in Limerick School of Art and Design, graduating in 2008 before moving to London. Now living and working in Dublin, she is a member of Damn Fine Print, interested in playful typography and illustration.